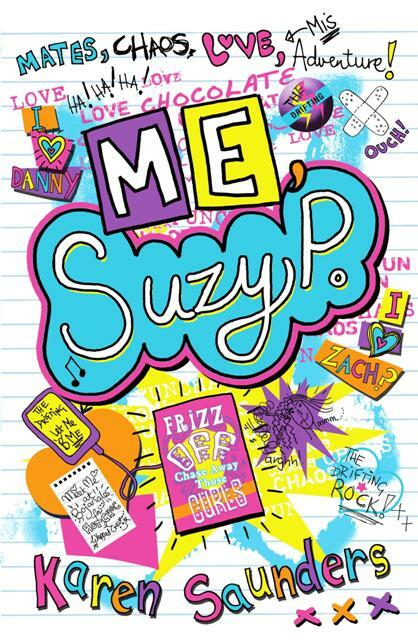 As I blogged about a while ago, the sequel to Me, Suzy P is well and truly in the pipeline. The book’s finished, and now the publisher is finalising the cover and I’m waiting for the copy edits to come over. It’s planned for release by Templar in January 2014. I’ll post pics of the new cover as soon as I can (I’ve seen it, and it looks FAB), however, what I can do, right here, right now, is reveal the title of the newest book. Are you ready? It’s going to called Suzy P: The Trouble With Three. Whaddya think? I love it! It would so make me pick it up. . .
Hurrah! Super glad you approve.